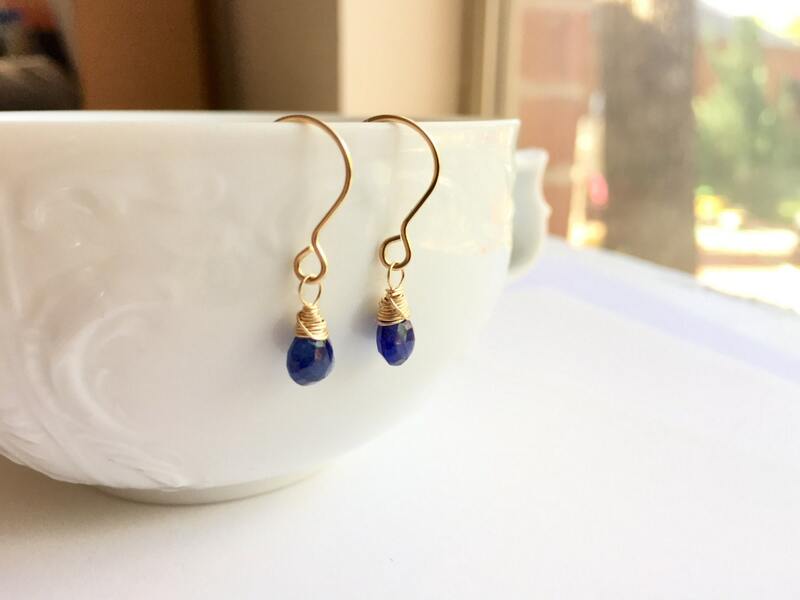 Made with natural, untreated blue sapphire, these earrings are a marvelously saturated deep royal blue. 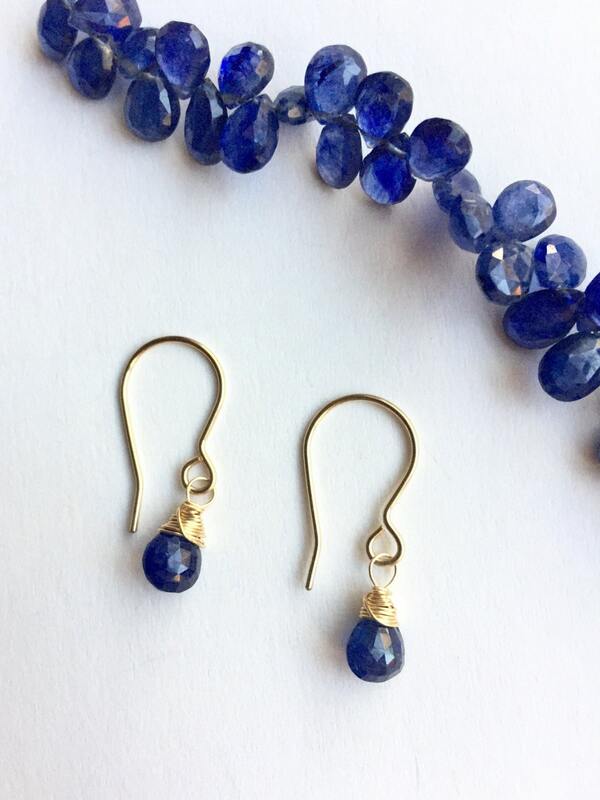 They are handmade by meticulously wrapping the high-quality gemstone with sterling silver or 14k gold fill wire. All wire elements are hand-shaped, including the ear hooks. • These earrings measure approximately 1" long. • The sapphire briolettes are approximately 7x5mm. • You can choose between sterling silver or gold fill. Your purchase will be delivered in an elegant organza bag, ready to give or wear. Gold fill is a high-quality and yet affordable alternative to 14k gold. Gold fill is made by permanently bonding gold to coat another metal, usually brass or an alloy, using heat and pressure. It can't discolor, chip, or flake off like other alternatives to solid gold, and it is still very valuable. It is more expensive than sterling silver and contains much more gold than gold plate (vermeil).